MANILA, Philippines- Peter Laviña, the campaign spokesperson of incoming president Rodrigo Duterte, has broken his silence about the controversy surrounding the appointment of his wife as the undersecretary of the Department of Agriculture (DA) of the incoming administration. President Rodrigo Duterte's spokesperson Peter Laviña and wife Evelyn. In a lengthy Facebook post on Thursday, June 7, Laviña said that his wife Evelyn Laviña was picked for her own qualifications and achievements and clarified that he has nothing to do with the decision of incoming DA secretary Emmanuel Piñol to choose his wife and put her in charge of high value crops. "It's all actually about her and not me as one of those involved in the campaign of President Rody Duterte,” Laviña said. Citing his wife’s credentials, Laviña revealed that Evelyn, who studied pharmacy and medicinal values, helped manage their family’s rice farm and fishponds in Davao del Norte. He also mentioned that his wife was one of the pioneers in catfish production in Davao City. A former president of the Floriculture Industry of Davao Inc. (FIDI) and a founding treasurer of of the Cacao Industry Development Association of Mindanao Inc. (CIDAMI) , Evelyn was also involved in many flower organizations at the local and national levels including the Philippine Orchid Society. According to Laviña, when Evelyn served as the Vice President for Agribusiness of the Davao City Chamber of Commerce & Industry Inc. (DCCCII), she developed an extensive network among those involved in high value crops such as banana, mango, pineapple, coconut, vegetables, poultry, aquaculture, oil palm, organic farming, herbal plants, hydroponics, among other. 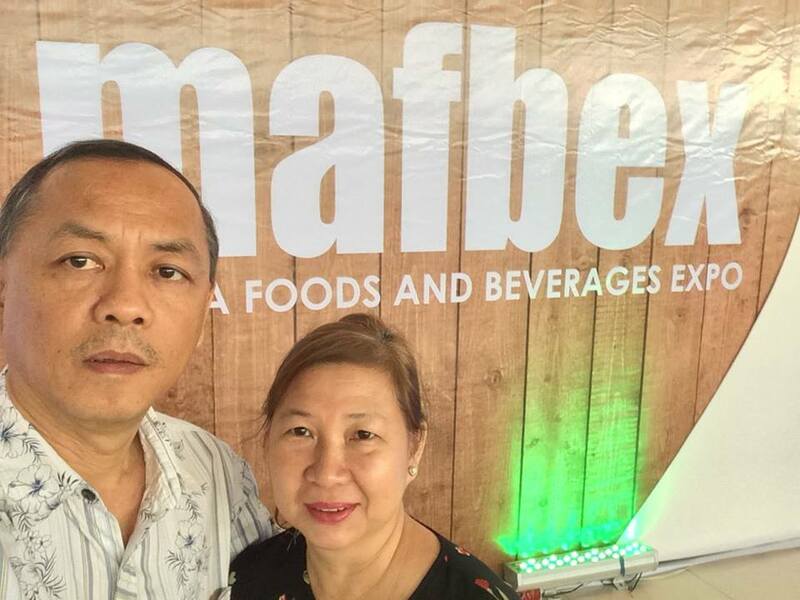 A member of the Davao Food Processor Association, Evelyn has knowledge about product development, packaging and marketing doing benchmarking in China, Japan, Hong Kong and Thailand. Laviña’s wife is also active in the Philippine-Australia Human Resource and Organizational Development Program and is currently one of the Board of Trustees of the Philippine Women's College (PWC) of Davao. As the former president of the Soroptimist International Davao, Evelyn promoted the interest of women and girls and was active in campaigns against cancer and human trafficking. She also took part in the promotion of livelihood for women as well as the conservation of the environment. Read Laviña’s full post below.